If you would like to mark those special moments and milestones in your life, I can help you. 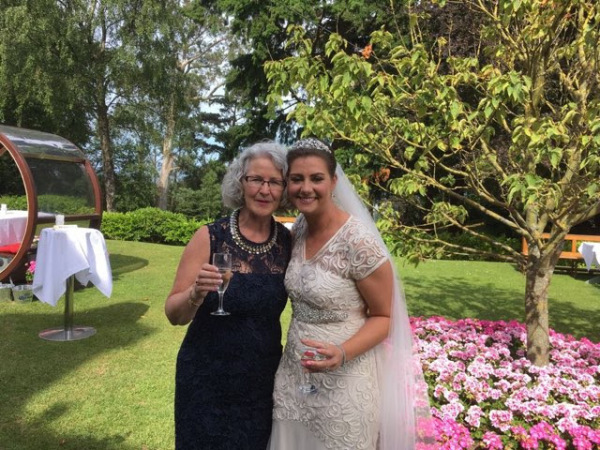 As a member of the Irish Celebrants Association, I will provide a personalised ceremony, working with you, listening to your needs and guiding you through the process of creating your special day. contact page to submit a query. 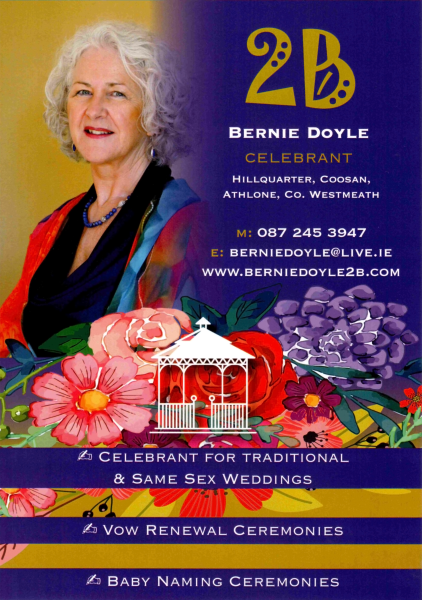 Bernie Doyle is one of the most compassionate and understanding women I have ever met. She knew what I wanted from my ceremony before I asked, or even knew it myself. Her expertise and guidance were exceptional, her ability to encourage and inspire were invaluable for both of us on our wedding day. She exudes a serenity and calmness that is essential for every bride on her big day, I felt so relaxed and reassured knowing that she was at the top of the aisle! Bernie and the beautiful Bride Emma. Look who gatecrashed my first wedding!